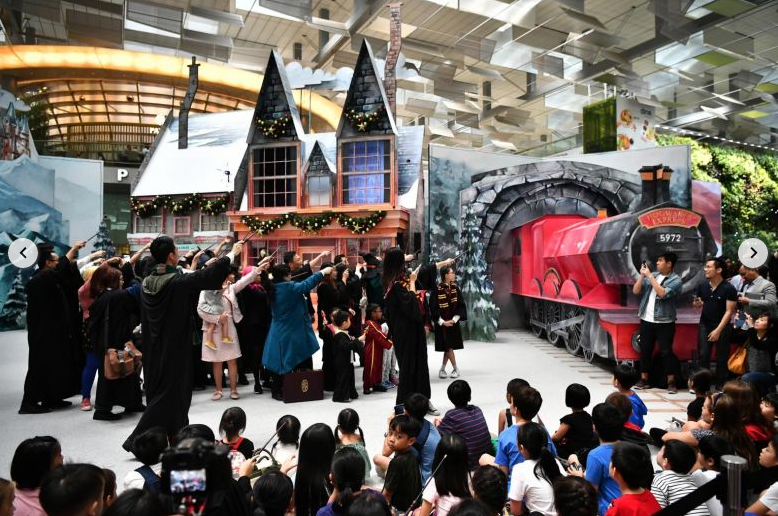 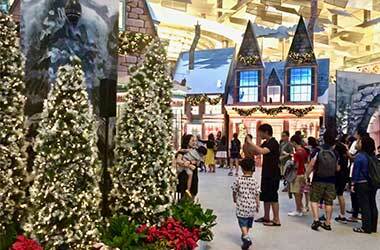 Holiday fun in T3, Changi with a Wizarding World, Hogsmeade Village and the Hogwarts Express … traveling or not, this is a fun space for kids – lots of photo ops and buzz ! 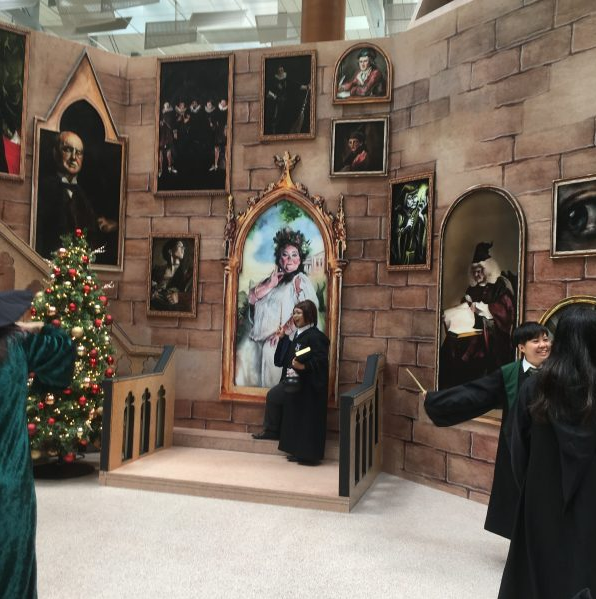 Life-sized installations inspired by some of the most iconic locations from the Harry Potter series, Potter-themed products, Potter merchandise and surprises from Fantastic Beasts: The Crimes of Grindelwald! 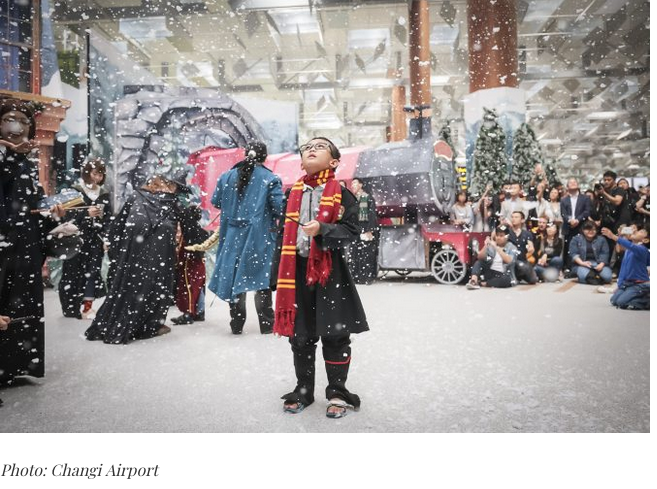 Try on wizard robes, give ‘spell-casting’ a shot, toss Quidditch’s Quaffle balls and/or visit the Whomping Willow in Terminal 2. 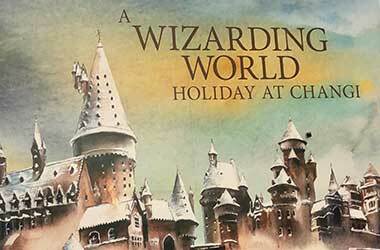 Weekdays : 6.00 p.m., 7.00 p.m. and 9.00 p.m.. 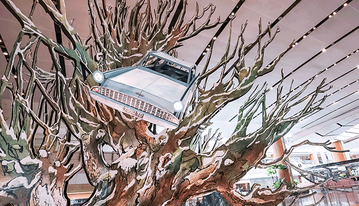 Weekends : 1.00 p.m., 6.00 p.m., 7.00 p.m. and 9.00 p.m. 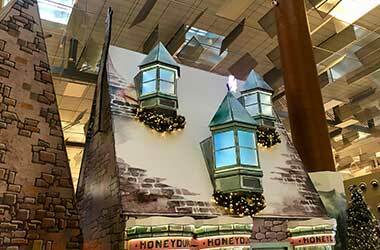 The decorations @ Changi Airport are on till mid-February 2019, but all activities end on January 6th.